FB Wright of Cincinnati has built a reputation for over 45 years of excellence in industrial supply manufacturing and fabrication. Our experts can custom create any pattern in-house. We have an extensive inventory of top of the line gaskets, hoses, fittings and plastics. We have the unique ability to engineer and fabricate any number of products to meet your industrial needs. We stand behind our craftsmanship and we’ll ensure our service exceeds your expectations. When you need premium industrial parts and fabrication provided by experienced professionals, contact FB Wright of Cincinnati! What sets FB Wright of Cincinnati apart from other industrial part suppliers? Our personalized services and commitment to you! From our CNC custom gasket fabrication process to our in-house created dies and patterns, we can customize any part you need for very competitive prices. Our sealing, plastic and hose specialists can answer any of your questions and help you find a solution to your needs. We also offer comprehensive inventory management programs and 24/7 support by phone, whenever you need us. When you need quality products backed by exceptional service, contact FB Wright of Cincinnati! F.B. Wright of Cincinnati (FBWC) is celebrating their 45th year in business. A provider of industrial solutions, FBWC has two locations in Cincinnati, Ohio and Louisville, KY; Evansville, IN; Charlotte, NC and Central Florida. F.B. Wright of Cincinnati handles plastic, rubber, high-temperature insulation and metals, and their unique engineering and fabricating process solves a variety of industrial problems. Servicing the Power Generation, Steel, Chemical and O.E.M. industry, FBW of Cincinnati supplies all types of hydraulic and industrial hose assemblies and fabricates gaskets up to 190” in diameter. We also specialize in fabricating lightweight conveyor belt by Forbo Siegling. Some other key disciplines are the utilization of a number of types of extremely high temperature materials for blankets, curtains, sleeves, etc. and the machining of industrial plastic materials for a variety of applications. 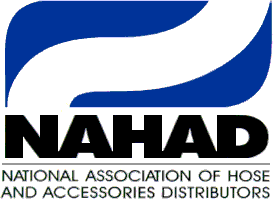 A member of The National Association of Hose and Accessories Distributors (NAHAD) and the International Sealing Distribution Association (ISD) FBWC is looking forward to the next 45 years.